With their candy-cane stripe these cute straws add some original flair to a range of beverages. 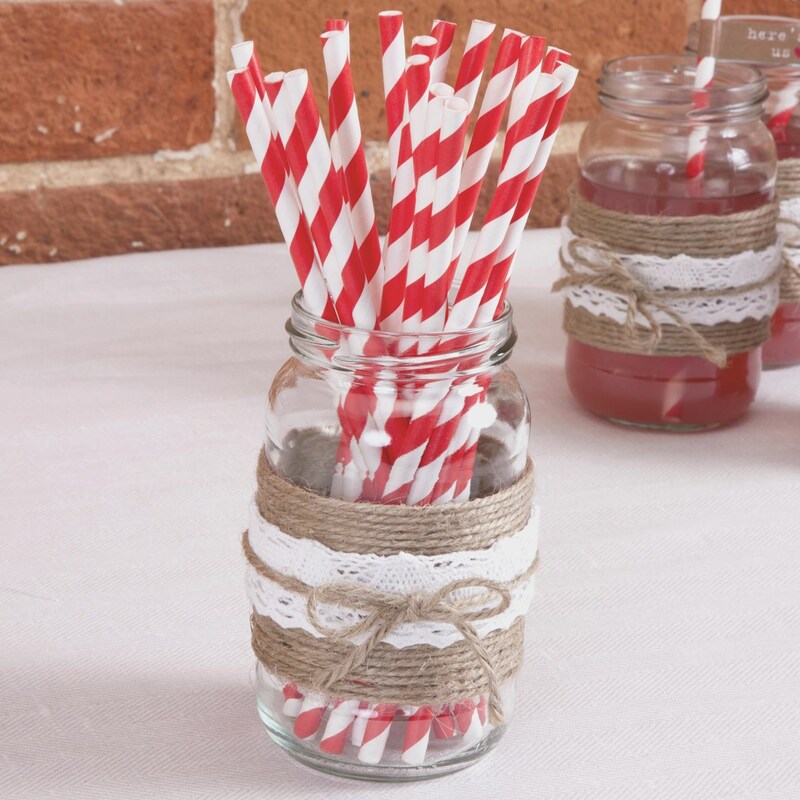 Ideal for adding to mini bottles of fizz or paper cups during your buffet, these versatile straws add a pop of colour to your wedding catering and are a fun way to encourage your guests to "drink up". Use with our straw flags to add a touch of fun to your celebtations.